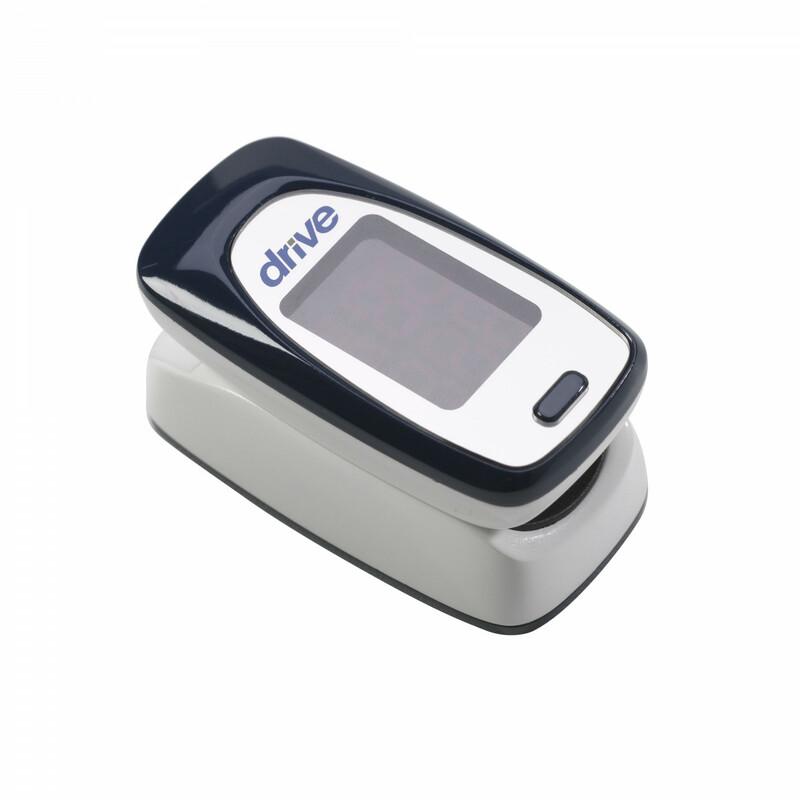 The MQ3000 Fingertip Pulse Oximeter, by Drive Medical, is made to measure blood oxygen levels and deliver accurate pulse readings simply by fitting the clip over the finger. This oximeter is especially nice because it has a big, bold display to make it easy for either caregiver or patient to quickly read and record. The fingertip pulse oximeter uses a photoelectric sensor to give an accurate reading of the oxygen saturation by detecting the consistency of the hemoglobin in the blood. The readout is in full red LED lighting. The pulse rate is on the bottom, the oxygen saturation is on top. 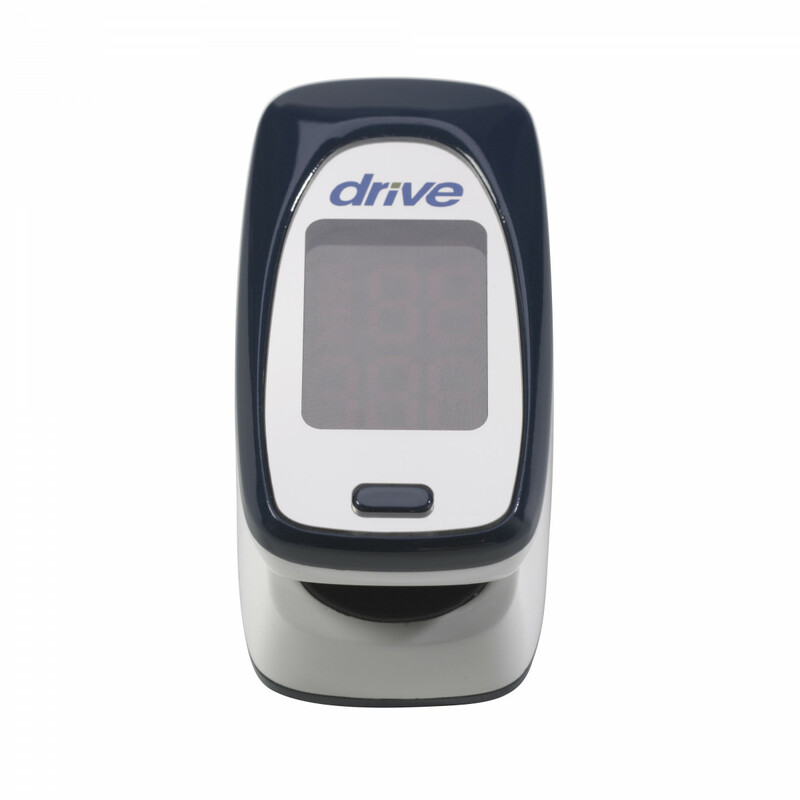 The readout also includes a low-voltage alert and has a dynamic pulse bar graph that moves to the user's pulse beat. The height of the bar graph indicates the user's pulse strength. The MQ3000 Fingertip Pulse Oximeter is powered by two AAA batteries. It has an auto-off function to preserve power. On the display is a low-voltage indicator to inform when the batteries are running low. It has about a 30 hour lifespan. The oximeter comes with a lanyard for the user or caregiver to hang or wear around their neck when the device is not in use. The oximeter fits most finger sizes -- from children to adults. The product is small in volume, light in weight and convenient to carry. Power consumption of the product is low and the two AAA batteries can be operated continuously for 30 hours. A low voltage warning will be indicated when battery voltage is low and normal operation of the oximeter might be influenced. The product will automatically power off when there is no signal for longer than 8 seconds.